Play Like a Girl tells the KGSA story through Abdul’s voice and vision and the stories of key staff and students. It is written by Ellie Roscher who spent two summers doing research at KGSA and several years writing this book. Author of How Coffee Saved My Life, Ellie Roscher is also a contributor to several blogs, magazines and compilation books. 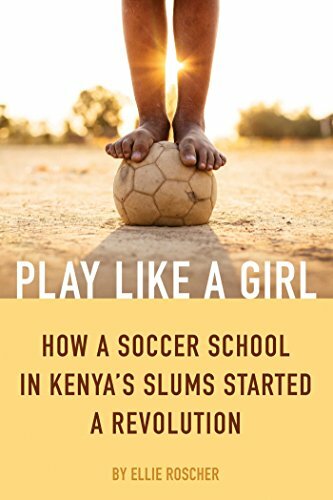 As seen on the TEDxSLC stage, Roscher’s latest book project is about how Kibera Girls Soccer Academy is educating girls in extreme poverty. ​Ellie is the director of youth and story development at Bethlehem Lutheran Church in Minneapolis, teaches creative writing at the Minnesota Institute for Talented Youth, and previously taught theology at Cretin-Derham Hall High School. 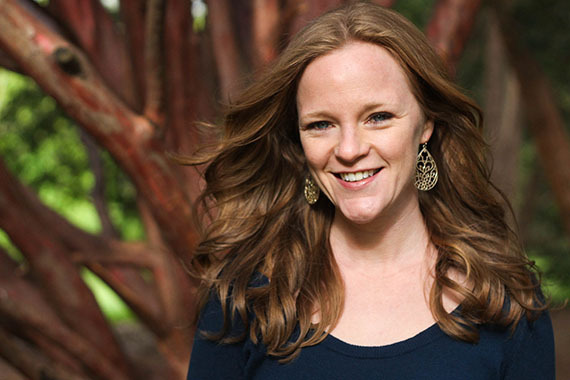 ​Ellie’s work as an educator, writer and speaker has brought her to places like Kenya, El Salvador and Uruguay, but she currently lives in Minneapolis with her spouse and sons. She has a MFA in Writing from Sarah Lawrence College and a MA in Theology from Luther Seminary. 1. What role does gender play in education? economics? 2. How did you relate or not relate to the characters? 3. Which situations did you find hard to imagine? 4. In your opinion, what was the most pivotal turning point in the school’s success? 5. Which person were you the most drawn to? 6. What surprised you? What did you learn that you didn’t know before? 7. What scene has stuck with you since you read it? 8. What brokenness or struggles did you see in the slum that you see (albeit on a different scale) in your own life? 9. Did you like Roscher’s writing style? Was it effective in communicating the story of KGSA? 10. Do you think a nation’s government should play a role in protection society from poverty? How is Kenya doing? How is the US doing? 11. What did the story make you think about in terms of when and where you were born? 12. What can you do in your own life to honor the story?